As multicultural families, we all know that travel is an important part of raising well-rounded kids. When we can, hopping on a JetBlue flight is a great way to expose them to other worlds. 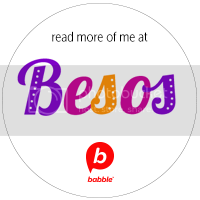 But even when we’re too busy to leave home, we can take the niños on plenty of aventuras just by opening a book. For the second year, JetBlue is showing its support for literary adventures through its Soar With Reading campaign. 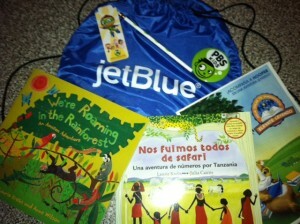 Along with PBS Kids, JetBlue is promoting reading by giving books to children with limited access to them. To help, all you have to do is go to the Soar With Reading site, tell JetBlue the title of your favorite children’s book, and they will donate a book to a deserving child. Sharing your favorite will also enter your name in a sweepstakes to win cool prizes! To further endorse this worthy cause, JetBlue and PBS Kids are hosting events in public libraries and community centers around the country this summer. I was fortunate enough to attend last week’s event in Orlando. My kids got to see PBS characters Hooper and SuperWhy!, listen to a story reading by Orlando Magic player Glen Davis, and dance along to a performance by Steve Songs. 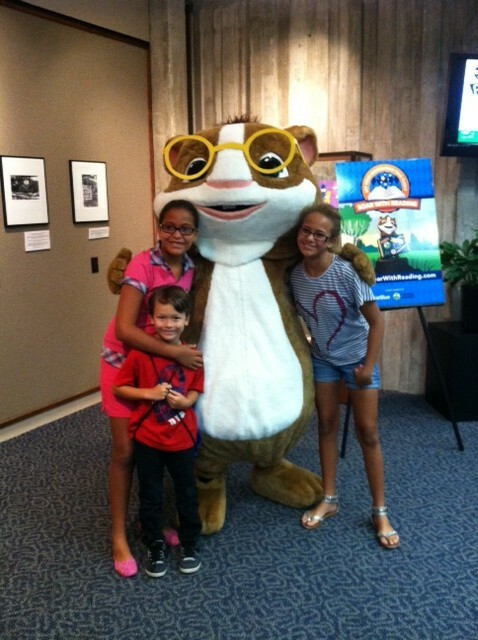 Amalia, Isaiah, and Yahaira with Hooper at the Orlando Public Library! 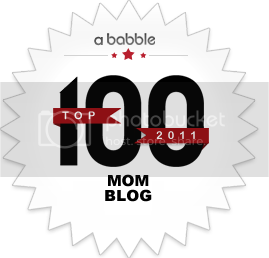 Taking our little ones to fun events focused on reading is just one more way to encourage them to be readers for life. After you have visited the Soar With Reading page to help in the book donation process, enter our giveaway for a chance to win a JetBlue travel backpack chock-full of summer reading goodies for your family! 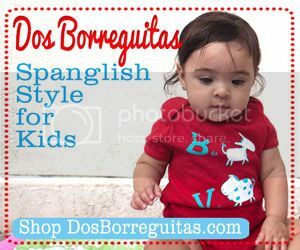 It includes a JetBlue activity packet in both English and Spanish, two fantastic stories from Barefoot Books (one in English and one in Spanish), and some fun PBS Kids items such as pencils and a bookmark. We’re giving away one JetBlue travel backpack filled with summer reading materials to one lucky winner. The Very Hungry Caterpillar by Eric Carle is one of our favs. One of our favorites is goodnight moon. My daughter has so many! I think she would say any book in the June B. Jones series though. One of our favorites is Animalia with the animals and alliteration. My daugthers favorite book is The Lorax. We have been reading the Lorax quite often lately. My son’s libro favrito has a tie between Polar Bear, Polar Bear what do you hear? and Juevos Verdes con jamón. Go Dog Go! My boys and I have always loved that classic! Dr Seuss books are our current favorites. Yanessa Caneti (sp?) does a great job translating AND rhyming el gato con sombrero viene de Nuevo.